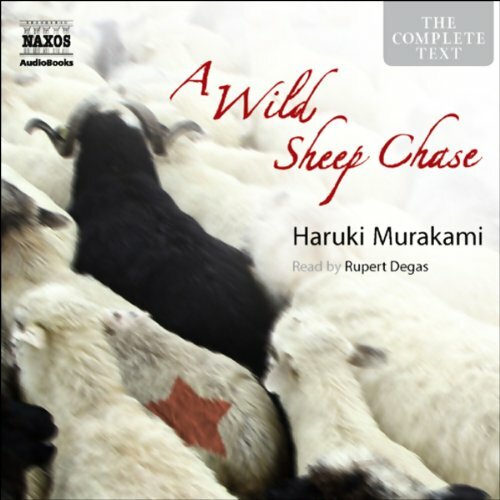 A Wild Sheep Chase is an early Murakami work, but its remarkable and individual voice makes it one of the most thrilling of his books. Superbly read by Rupert Degas with an edge of Raymond Chandler. I fear severe withdrawl now that I only have one more book to delve into. Haruki Murakami has to be the most imaginative writer I have ever come across. His material profoundly provocative. And funny is very laugh out loud hilarious. Normally I never revisit a book, but I have already begun with Wind Up Bird and this one will be no exception. These novels are written in minute detail though not overly wordy. Hopefully he has others coming down the pike. If you have not yet listened to any of these novels trust me you will be in for a royal treat. A Wild Sheep Chase is another masterpiece. Only thing for me is that Haruki is highly addictive. Our hero is led to look for a sheep. 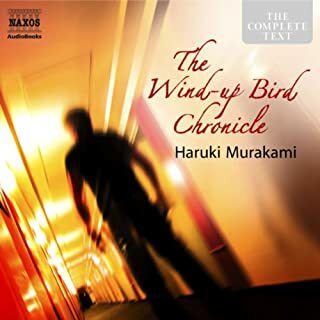 An Haruki Murakami 'detective story'. I enjoyed Rupert Degas portrayal. As I have not read this book before, I have had no internal voice to compare with Rupert Degas' voice. For me the Haruki Murakami story is well presented with Rupert Degas reading. What did you love best about A Wild Sheep Chase? I have by now read (more heard) many of Murakamis' books and am a big fan. However I would have loved that somewhere it had been mentioned that this book precedes 'Dance, Dance, Dance' - I heard it before and was a bit at a loss in the story. Definetely listen to this one before! Having started with 1Q84 I understand the comments about R. Degas being 'too american' for these tales, but I have come to apreciate his voice because I think he understands the charachters and flows very very much with the stories. 1Q84 is a special issue indeed, but these are fine readings!! I started with the last of Murakami's books, 1Q84, and now I really apreciate the path he's done to get there, it's a fabulous book, really really beautiful. But I enjoy these earlier stories as well, they are more 'crude' and you can see many of the topic he revisits in different ways later on. Fantastic, pity about the accents. Great story. Classic Murakami. Very well read. My only gripe is the accent of the reader. I know your main market is the US, but couldn't you have got someone with even a slight Japanese accent? It was very hard to visualise the characters as Japanese when everyone had a variety of US accents. Still worth purchasing though. I've heard this narrator, Degas, before and am usually impressed, but here, he stumbles in his characterizations. 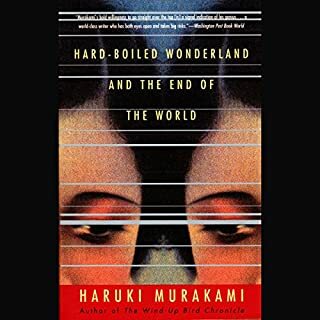 To appreciate this book, you must be a Murakami fan or you won't get it either. 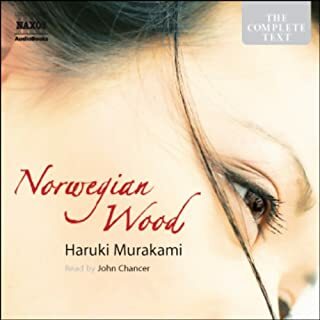 I've read every English translation of Murakami's books, including A Wild Sheep Chase. 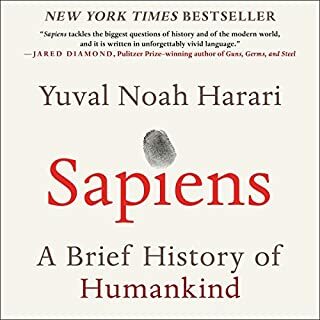 I slogged through this Audible Book and cannot recommend it. The reader uses Western voices that are just wrong. A previous reviewer mentioned a James Mason imitation. Let me add a Dustin Hoffman "Tootsie" imitation. Japanese women sound like a bad Blanche DuBois? Aargh. 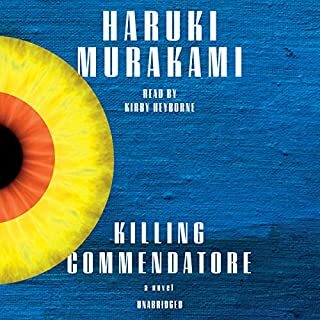 Listen to NPR's "Selected Shorts" to hear what Murakami should sound like. I was astounded by how closely that reader matched the voice in my head when I read that short story. On the heels of what was in the balance a very worthwhile listen...Kafka on the Shore expertly narrated, I tried A Wild Sheep Chase, and lasted to the bitter end just so I could pan it. 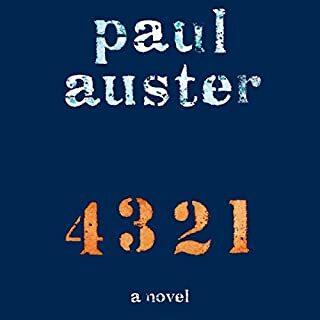 The book meanders aimlessly via affected dialogue, quirky but otherwise shallow characters, with a story line from Hell, and basically leads up to one of the most pathetically unimaginative endings I can imagine. Unfortunately the narration made it just that much worse. Degas's baseline nasal drawl is bad enough but when he attempts character portrayal it is almost unbearable...from the pseudo-James Mason of one character to a cheesy Brooklyn (?) accent of The Rat, and when the end of this book was within sight, he comes up with an absurd peppery/staccato manner of speech for The SheepMan, who as a character is just part of the downward slide in this book. 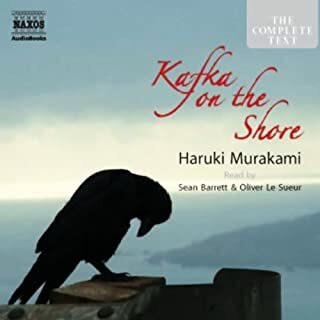 Was I just lucky with Kafka on the Shore, or is A Wild Sheep Chase more typical of Murakami? 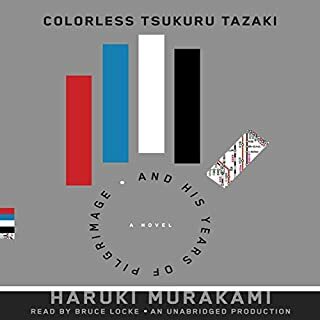 Murakami woes like no one else, weaves a genre like nothing you've experienced, and then leaves you with vertigo and a craving for more. For some reason, Haruki Murakami's novels just attracts my taste. I think his style of writing is very smooth and very odd, but oh so good. "A Wild Sheep Chase" is another bizarre screw up triangle, where the lines are all jagged and crisscross and no ruler can straighten out the author's thoughts. This is what I like from his books. You never know what is next and how morbid he can really be. 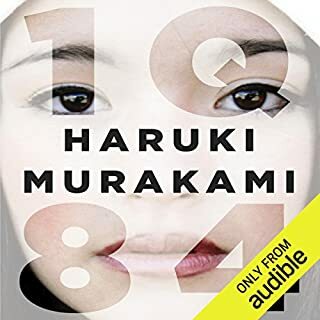 Haruki Murakami's stories is not terrifying to listen to. It won't keep you up at nights, being scared of the dark, but in all of his novels, you will be questioning yourself on what you are listening to and then half way through it, they all come together and its a never ending whirlpool of talking animals and impure thoughts. Alice is always falling deeper and deeper in the hole and there is no Wonderland in his world. I almost skipped on this one because I am really looking forward to Dance, Dance, Dance, but I heard from others that you really need to read A Wild Sheep Chase first in order to understand the later title. I just wished that there was more on about his girlfriend's ears. I just felt that there was something missing from this one from Murakami. Maybe lack of lust, but it was still good. I can't wait to read Dance, Dance, Dance. Talking rat and the Sheepman is why I like this author so much. Somehow, it all makes sense. This just came to me. Maybe his girlfriend was really the rat because of her ears? I don't know of any other authors that always leaves you questioning on what you just read. Murakami ist mein Lieblingsautor. Ich hatte diess Buch bereits gelesen, wollte mir aber unbedingt auch den Hörgenuss gönnen. Und es hat sich voll gelohnt! Seit ich eine Biografie über Murakami gelesen habe, lese und/oder höre ich seine Bücher nur noch auf Englisch. 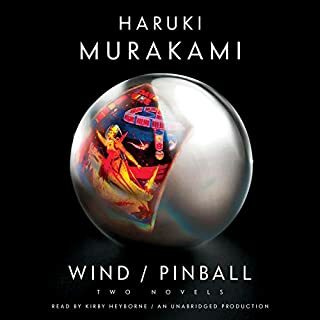 Murakami hat sehr lange in den USA gelebt und seine Werke z.T. selber in diese Sprache übersetzt. Es handelt sich also bei den englischen Versionen um so etwas wie originalsprachliche Ausgaben. Daher, wer kann, unbedingt das englische "Original" hören. 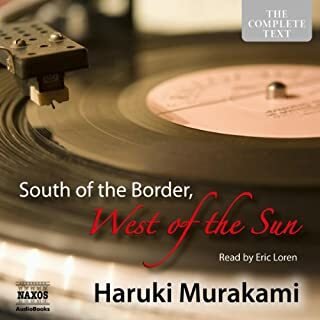 Zum Trost für alle anderen: Auch auf Deutsch ist Murakami ein Hochgenuss. Dafür sorgen seine komplexen Storys und die schöne Sprache. Ein must hear! Sometimes a bit hard to understand, if english is not your native language. Some parts are spoken really quickly. The story is great though.